We know the feeling. We all know the times when it seems like the world is turning up the volume from every direction, work has been hectic with nonstop meetings, and it just feels like errand after errand is needed, trying to get through a list of things to do that just keeps getting longer by the day. Let’s put the brakes on and take control of our lives and our privacy. We can make a world all our own, at least for a little while, and make it by one of the most tranquil spots on earth. 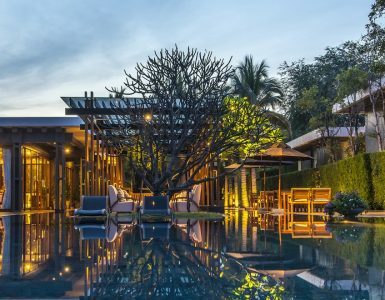 A private villa in Hua Hin is the remedy for all this hustle and bustle, and there is one resort in this charming seaside town that provides all you need for an exclusive paradise. The entire design of V Villas Hua Hin reflects not only a breathtaking coordination of man-made architecture and the beautiful views of the Gulf of Thailand. 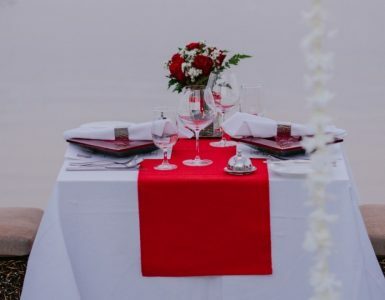 It was also planned to provide the guests with the absolute experience of privacy while you enjoy your stay here in the perfect expression of a private villa in Hua Hin. Every one of the villas in this resort has even its entryway surrounded in a pleasant hedge, ushering you into the total exclusiveness of the world you want, from the moment you approach the door. Going in, you find a high-walled court, all your own, of course, protecting you from any noise and sealing you perfectly in the bliss you need far from the worries of life. 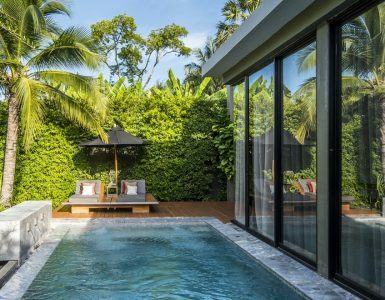 Your private villa in Hua Hin also provides a private pool, which is excellent for your morning swim or for lounging on the deckchairs in the evening with a glass of fine wine. At V Villas Hua Hin, you don’t even have to leave your private villa in Hua Hin when you need anything. Your 24-hour butler is standing by to bring it right to you.